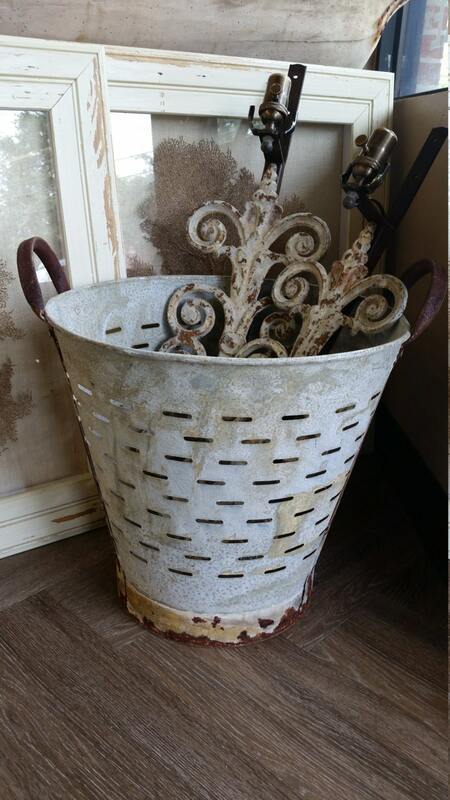 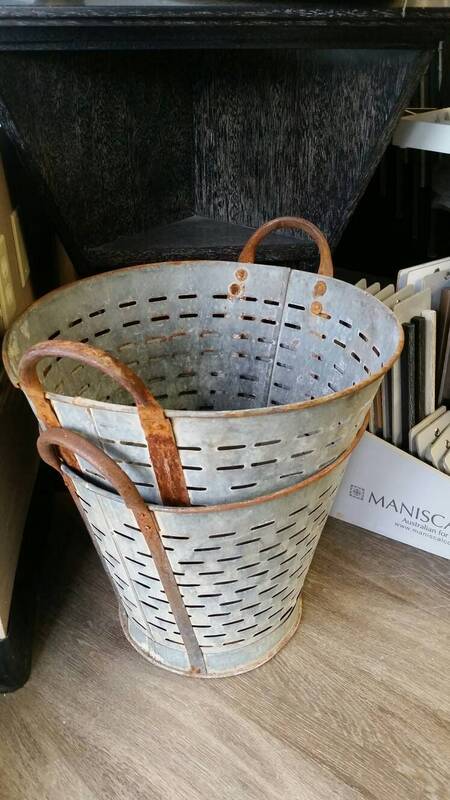 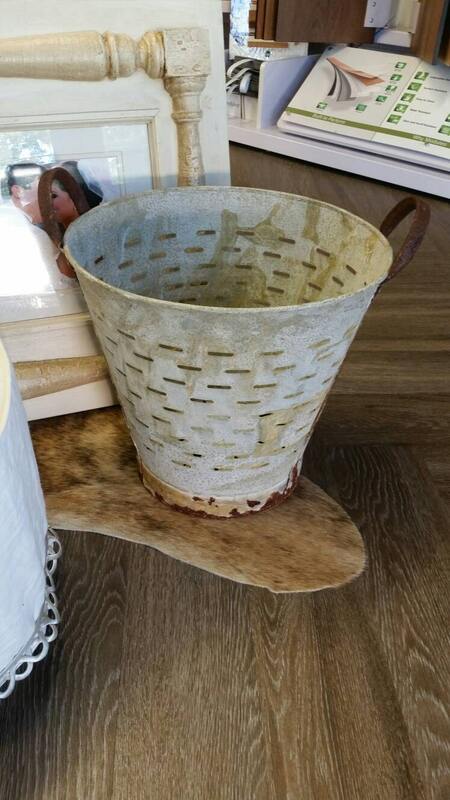 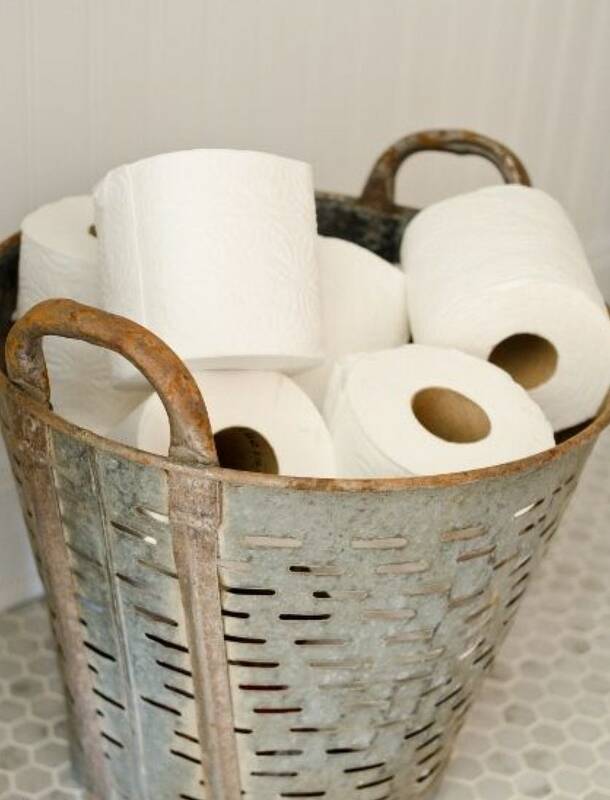 Vintage Olive bucket, Rustic Metal made from sturdy galvanized steel. 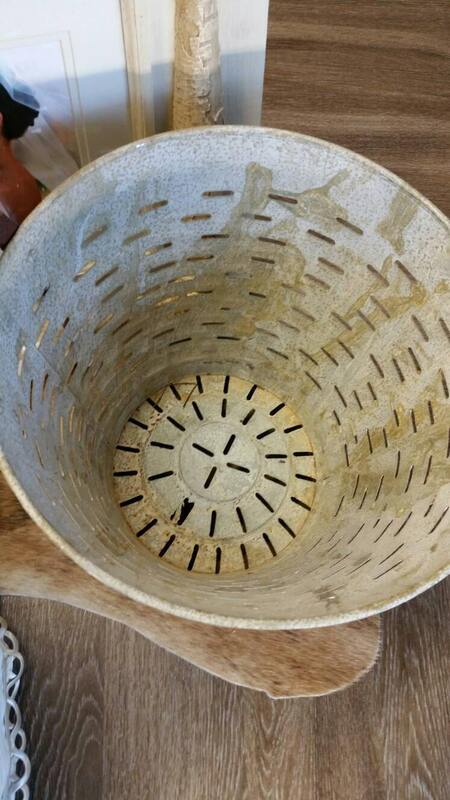 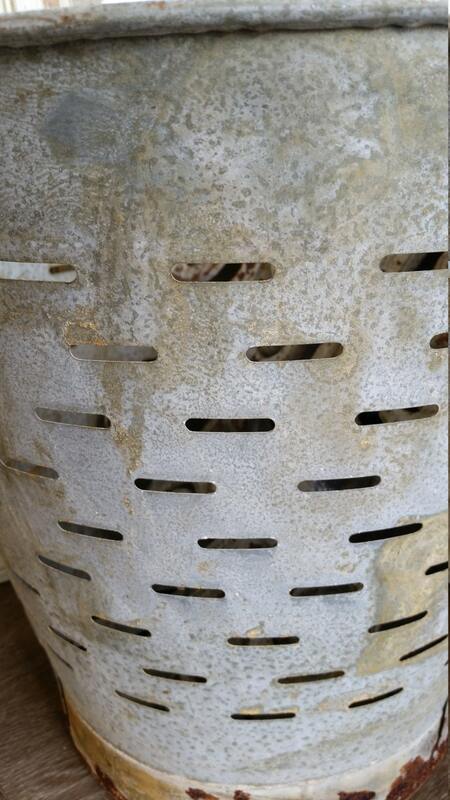 This perforated basket was used to collect olives in countries along the Mediterranean sea. 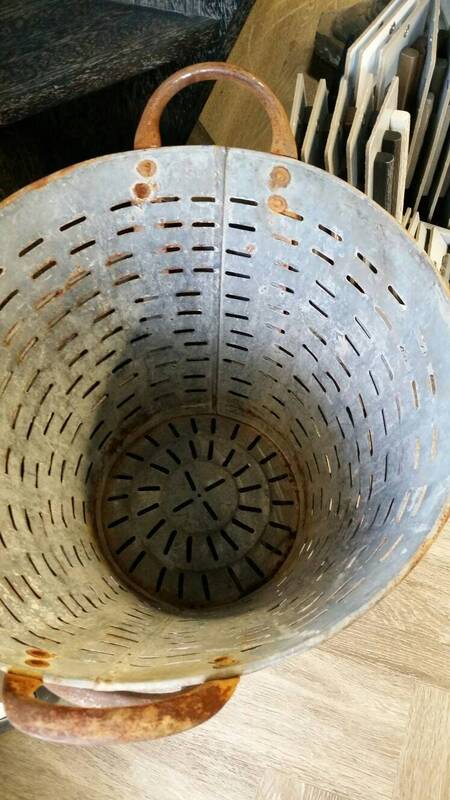 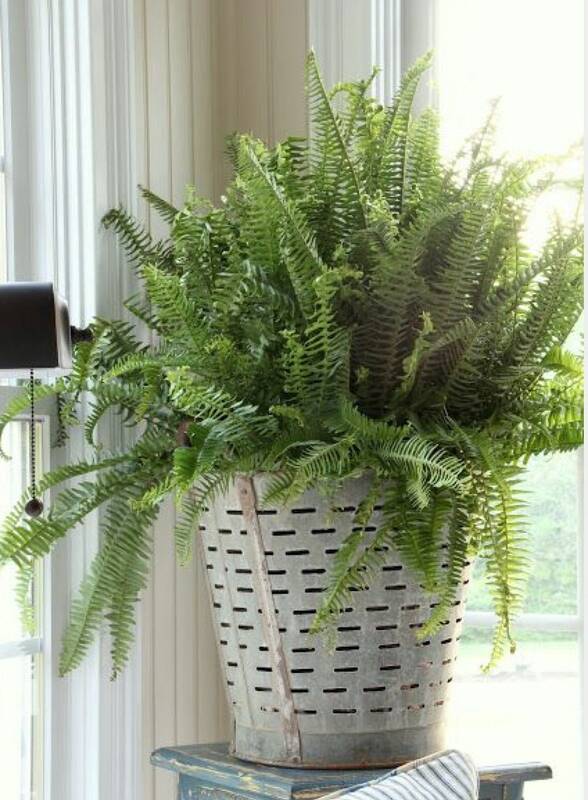 Overall size is 18 inches in diameter by 17 inches high.